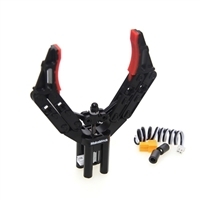 Robot Gripper is a simple and durable robotics kit that is great for "getting a grip" on pretty much any robotics project. The Robot Gripper is capable of opening an impressive 3" (67mm) wide. It enables you to grip items of various sizes according to your needs.